The warm summer weather is the perfect time to jump on your motorcycle and head out on the road. No matter if you are planning a scenic drive across the country or simply headed across the state to visit loved ones, it is important to make sure that you are ready for anything. Keep these motorcycle trip tips in mind to ensure that you fully enjoy the road. Before you head out, consider where you are going to stay. Make reservations at hotels along your route, or make arrangements to stay at friend’s houses on the way. Driving at night on your motorcycle can be dangerous, so make sure that you have plenty of restful stops planned. Make a list of everything that you want to bring with you. If you think that you can remember everything that you need to bring, you will most likely forget about something and have to buy it on the way there. When packing your clothes, try to pack as light as possible. Plan to wear the same clothes multiple times on your trip to help save room in your bag. Bring a spare key with you in case you lose yours on the road. You should also keep some of your emergency contacts with you at all times, including your insurance company and family members. Look over your bike to make sure that everything is working properly. 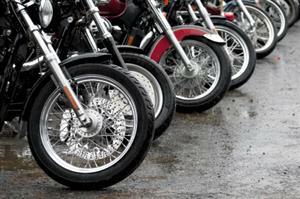 Check your lights, tires, oil, and all other fluids to make sure that your bike is ready for the journey. Most importantly, look over your motorcycle insurance policy to ensure that it is providing the coverage that you need in case of any peril along the way. Contact Robert J. Los Insurance Agency in Hamburg, New York for all of your motorcycle coverage needs.